I really love classic wood toys. Toys made of wood just feel so classic, genuine and sturdy. 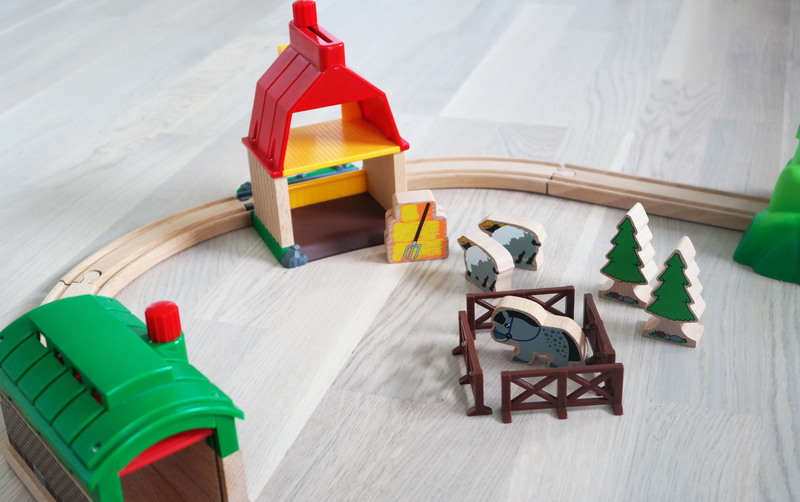 One of the great things with toys made from wood is that they’re almost unbreakable. Wood toys are very unlike a lot of plastic toys, that often break before you get it out of the box. I’m a mom to two young boys, and I’m definitely more and more picky about what types of toy I buy for my kids. From my experience, there’s just so many toys that are so useless and just really poor quality. For the last couple of years we’ve been trying our best to be more environment-friendly, and therefore trying to buy fewer toys. When why do buy toys, we make sure that the toys we buy are durable and of good quality. 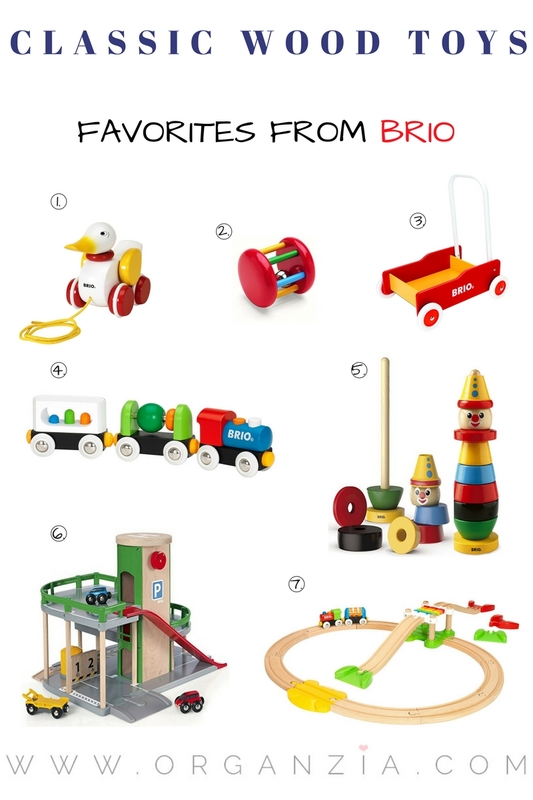 BRIO is my absolute favorite company when it comes to wooden toys. They’re a wooden toy company founded in Sweden, and they produce really high-quality toys. Their products range from infant toys with rattles, pull-along toys, cars, and walkers to toys for older kids like building blocks, play kitchen accessories, train tracks and so much more. Our family honestly love all the toys we have from Brio. 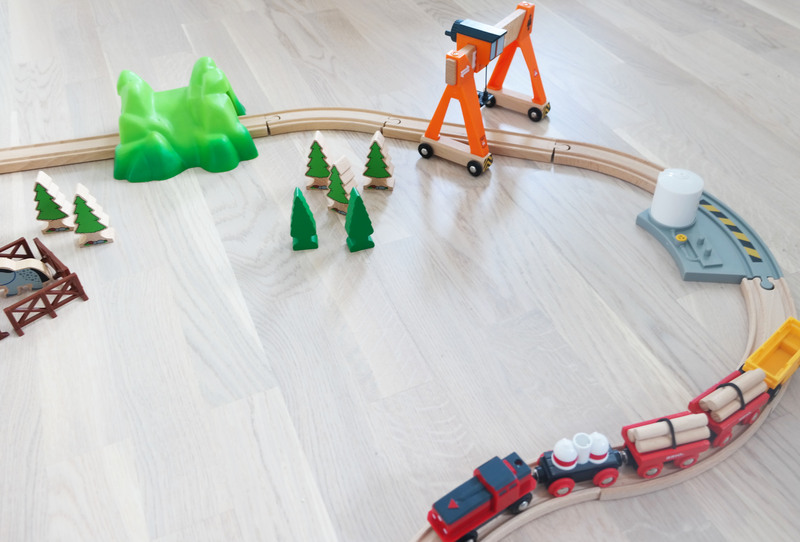 And having two boys, the Brio train tracks are really popular! I’m not kidding when I say this, but probably 98% of all family with kids in Norway own one type or a variety of Brio train tracks. They’re super popular, and for good reason! Not only the kids love them, but parents do too. And when it comes to toys, that combination is pretty rare. Many parents,( me included) get really nostalgic playing with these train tracks.We get nostalgic because many of us actually played with the same tracks when we were kids. And I think that’s just really awesome. Not a lot of toys can keep their relevance over so many generations. You can even get different kinds of cute farm sets, with a barn and all kinds of animals included. With so many options, the possibilities are really endless. And even though I’m a mother of two boys. I know that girls also loves playing with these train tracks. So it’s definitely a great gender neutral toy option as well. I really like the idea of toys that can be passed down from sibling to sibling, regardless of what gender they are. 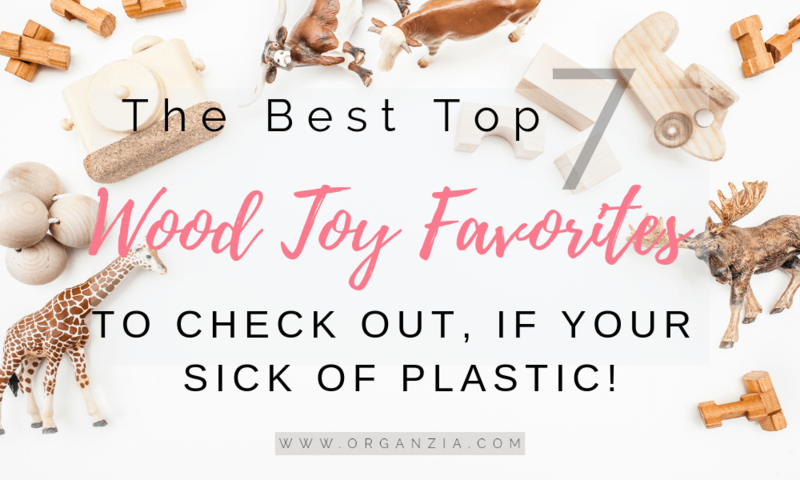 There’s always many birthdays coming up, so I’ve made an inspiration board with our top 7 favorites wood toys from Brio. Have a look, and let me know what’s your favorite!And any tips on other great toy companies, bring them on.